Yabadoo Princesses want more than to find their Prince Charming. 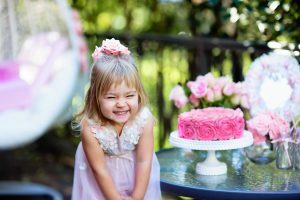 Your little royalty will gasp in wonder and awe when our graceful princess attends your next kids birthday party in Brisbane. From the moment our entertainer arrives at your kids birthday, they’re ready to spread laughter and spells with tons of princess party ideas such as a magic show, balloon art, face painting, games (like pass the parcel), a treasure hunt and more. 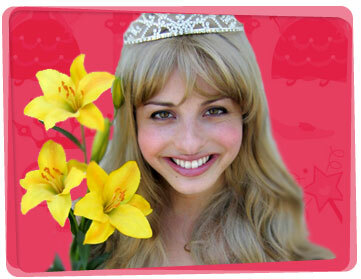 Your little girl will also receive a modelled balloon crown and balloon wand during the show to make them feel special. 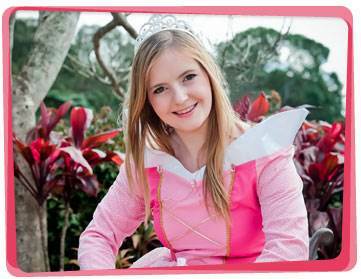 Our Brisbane princesses for hire perform regularly at all types of events including promotional events, product launches, themed birthday parties, fairs, Christmas parties, corporate events, kindergartens, shopping centres and just about any other event you can think of. 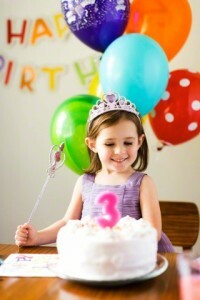 Check out this fun princess party game idea you can play at your child’s next birthday! Your princess entertainer groups the children into teams. Set up a Snowman Station for each team by placing at least 3 sets of snowman parts in a bowl. One set consists of 3 marshmallows (body), 3 chocolate chips (eyes and mouth), 2 pretzel sticks (arms), 1 carrot sliver (nose). Add 1 plate where they could put all the snowmen on. On the princess entertainer’s signal, each player runs to the station and sets up one part a time. So the first player runs to the station, puts a marshmallow on the plate, then runs back to the line. The second player goes next, sticking one pretzel to the marshmallow, and so on. The team to assemble the most Disney Snowmen within the given time wins. The princes and princesses at your Brisbane birthday party will absolutely love this game! Everybody sits down in a circle. Pass a frog stuffed toy around, from one person to the next, whilst playing princess music. Whoever is holding the frog when the music gets paused is out of the game. The last prince or princess that is left in the circle is declared the winner. For younger children, you can give a prize to the kids who are out of the game so they don’t feel bad, but also give a special prize to the winner.